Indiana Divorce? There’s an App for That. As with nearly every other facet of our lives, technology is fast becoming an integral tool for those seeking an Indiana divorce.There are currently state-specific apps that help you calculate child support fees or figure what a divide of marital assets will look like. However, there is absolutely no substitute for an experienced Indiana divorce lawyer. Trying to go it alone in court with your smart phone is anything but smart. That said, these calculators can give you a good idea ahead of time of what the cost estimates will be and can help you to get organized. This is an important step in the process before you even walk out the door. What you have to be wary of is the fact that each state has its own specific laws with regard to divorce. It’s not like tax law or immigration law, where the rules are going to be the same across the board. In some states, you can get a fairly accurate idea of what a divorce is going to cost you in terms of legal fees and support payments, based on the length of marriage, the time it takes to sort through the affairs, the age of your children and so on. Another, powered by Google play, purports to offer a general estimate of what your child support payments are going to be, though it is careful to say that it’s only an estimate and does not constitute actual legal advice from a professional. An app in New Jersey allows you to do an inventory of marital assets. Sorting out who gets what can be a difficult and emotional process. It doesn’t hurt to be prepared, and if technology can help you do that, by all means, use it as a guideline and a tool. But again, make sure you consult with your attorney before you make any agreements or formalize any of it. An app called the Divorce Journal allows you to keep digital notes regarding the divorce. Recording your thoughts and feelings can be therapeutic, allowing you to sort through the emotional turbulence and upheaval that a divorce can cause. Just be sure that those notes remain private and don’t fall into the wrong hands, as you don’t want any surprises showing up in court. These apps can also be helpful in terms of helping you keep track of upcoming court dates, attorney appointments or any other aspect you want to be able to keep track of. Missing a hearing could be detrimental to your case, so if technology helps you stay on top of it, use it! Some have also found certain apps helpful in divorces where physical abuse is a factor. One in particular allows you to collect photographic and audio evidence of the alleged abuse, which can be valuable not only in your divorce and child custody proceedings, but also in a criminal proceeding. And then, once the divorce is final, some have found that communicating digitally for things such as child visitation or custody issues helps to keep the peace. When ex-spouses don’t have to actually speak to one another, sometimes that’s best for everyone. 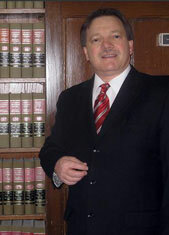 Highland Family Law Attorney Burton A. Padove handles divorce matters throughout northern Indiana, including Gary, Hammond and Calumet City. Call Toll Free 877-446-5294.